Dutch Railways took train-station-flirting to a whole new level - "Platform of Love"
For this year’s Valentine’s Day, Dutch Railways decided to give Cupid a helping hand, using the same principles as well-known dating apps. 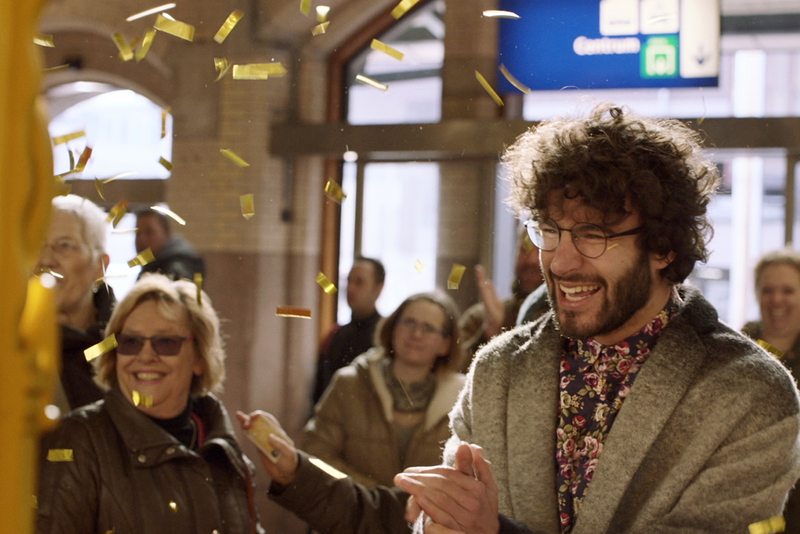 At two different train stations, Utrecht and Haarlem, we placed life-size interactive ‘Valentine’ screens, connected through a live stream. In this way, we created a playful environment for people to flirt, and to make a connection with travellers at the other station. When both sides confirm a spark they are treated to a date in a super romantic spot, normally not accessible to the public: the royal waiting room at Amsterdam Central Station. Trains are ideal for flirting. We all know that. But many travellers don’t dare to take the extra step. Through this Valentine installation, we want to show how much fun it is to connect with fellow passengers. How attractive do people from Haarlem and Utrecht find each other? Which matches surprise you? How many champagne bottles were opened? Watch the Platform of Love video to find out. "Dutch Railways is looking back at a beautiful event. We did what we always do: bring people together." "It was quite an experiment for Dutch Railways. We were surprised by the amount of matches. Platform of Love was a success." AdStasher: Dutch Railways took train-station-flirting to a whole new level - "Platform of Love"